To some the term overclocking may conjure some sort of overly-dramatic visualization of a crazed, long-haired, large-spectacle-wearing hippy-genius in a high-tech lab somewhere pouring liquid nitrogen on hardware like some sort of PC master race god. However, the reality is overclocking is a lot more common, accessible and easy to do these days and you don’t need to be a genius in the slightest thanks to great software and tools being available. Plus, the risks associated with overclocking are less than in the past with PC hardware these days being much more flexible and having the ability to withstand a lot more. However, despite overclocking being far from rocket science and becoming a lot closer to idiot-proof in the modern age, there are still risks associated and little nuances you need to be aware of, and so you have to decide for yourself whether the extra potential performance is worth it for your particular situation. Overclocking is not for everyone and may not be worth the time and effort for your particular situation. Plus, it requires a bit of patience to do right because you don't want to just dive head-first and tinker with hardware settings as a noob without knowing what you're doing. If you're building your first gaming PC you should probably give overclocking a miss unless you have good reasons to do it. It's not always the most practical thing to do, but don't get me wrong as there definitely are places for overclocking to get you more for your money and/or extend the life of an aging system. This guide will cover what overclocking is, the pros and cons to overclocking, how to choose parts for overclocking, and for those who want to go even deeper down the rabbit role we have further modules below on exactly how to overclock both your CPU and GPU using the latest methods and software tools. Strap yourself in and may the force be with you and your parts. Computer overclocking is forcing a component such as the CPU to run at higher, faster speeds than the default (known as "stock") speed set by the manufacturer, and is done by altering settings in a software program or in your motherboard BIOS. The increase in performance you can create via overclocking will depend on various factors such as the specific hardware component model and what base performance it has, how effective your hardware cooling setup is, how much you push your part/s, and how much risk you’re comfortable with among other factors. The free boost in performance that comes from an overclock isn’t free in theory, and comes with added risks to your system such as overheating, system crashes, voiding your warranties, hardware damage, lowering hardware lifespan, and even complete hardware failure. Overall, overclocking isn’t generally recommended for beginners building their first PC due to the extra complexities and potential problems it can create. It’s only really suggested for the curious with the time and patience to do it the right way, or those looking to fully maximize performance for their money who are willing to accept the potential risks. However, as mentioned before the truth is that these days it’s a lot less risky and simpler than it was once was, and there are ways to do it quite safely that greatly limit all of the potential downsides. For example, if you push a part beyond what it’s safely capable of, your system may simply crash or refuse to boot indicating that you need to tone the settings down a bit; and you can then reset the settings and be up and running again as normal without problems. There are also fail-safes built into modern CPUs, GPUs and motherboards that help prevent hardware damage and failures when overclocking. Overclocking isn’t some forbidden dark art that should only be left to the experts and extreme enthusiasts; it’s quite a common practice these days among intermediate PC builders, and even with some total beginners who are keen on really stretching their system further or who are just curious about these sorts of things. Components that can be overclocked include the CPU, GPU (graphics card), memory (RAM) and monitor (to increase the refresh rate). Overall, the CPU is the most popular part to overlock followed by the GPU. In terms of simplicity, the GPU is the simplest overall, and is also the safest in general. But don’t get me wrong; overclocking a CPU can be very, very safe as well assuming you’ve got the right things in place (explained soon). Technically, the process of actually overclocking a part goes like this: you use certain software (or your BIOS) to manually change settings of a particular component such as its speed. 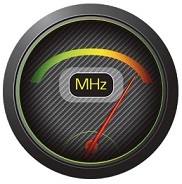 With a processor, you would increase the clock speed which is measured in cycles per second or Gigahertz (GHz). This can be done a variety of ways such as increasing the clock speed directly, changing the multiplier, or changing the base clock (BCLK). This will all be explained in the module on how to overclock CPUs. With a graphics card, you would increase the clock speed as well, which increases the speed at which graphics are rendered and therefore can boost your gaming performance. With GPU overclocking you can also tweak other settings like the memory clock speed which boosts the speed at which texturing is processed. With both the CPU and the GPU you also have the option of increasing the voltage, which is the amount of power given to that component. This can further increase the performance your component is capable of but comes with added risk of damaging components. The main benefit of overclocking your PC is getting faster overall performance, especially in CPU or GPU demanding applications such as games, video editing, 3D rendering, etc. Overclocking may extend the life of an older PC. Instead of upgrading parts or building a new system altogether, an overclock could keep your rig in the game for slightly longer than it would otherwise. Overclocking could save you money because you could successfully use it as a way to buy cheaper components and then overclock them to the same performance level of more expensive parts. In certain cases overclocking may optimize overall system performance as some setups will have bottlenecks where overclocking of one part may help the performance of another part. Overclocking may be fun and interesting to you if you love computers, enjoy learning, and have fun trying new things. Increased heat generated from the component/s you’re overclocking, which increases demand for cooling of both the specific component/s and the inside of your case. Increased power consumption meaning you may need a better and/or more reliable power supply. With the increased need for maximum cooling, your system may produce more noise due to fans working overtime. Overclocking may make your system unreliable and increases the chances of system errors such as blue screens and other issues. Due to the extra demands being put on your parts, overclocking may reduce the lifespan of your hardware. Overclocking may void the warranty of your components so if anything goes wrong it’s all on you and your wallet. May damage or permanently destroy your hardware if you push a component too hard or do something wrong. Which Components Can You Overclock? The processor/CPU is the most common component that you can push further than its originally intended factory speed, with the best case performance improvement generally being up to around 15-20%. Overclocking your CPU is actually quite safe and fairly idiot-proof so long as you don’t apply extra voltage (explained later) and you have the cooling setup to handle the extra heat. If you push a CPU too hard by raising the clock speed too high, your system will typically refuse to boot and you can then change it back until it works. To overclock your CPU you’ll need a compatible CPU that has what’s called an unlocked multiplier (most if not all AMD processors, and Intel processors that have a “K” in their model number), an overclocking-friendly motherboard, an aftermarket CPU cooler, overclocking software, and ideally a reliable PSU. To learn more about overclocking your processor see our CPU overclocking beginner's guide. You can also overclock a graphics card to squeeze out more gaming performance, with best-case performance increases going up to 15-20% just like with processors. Again, if you don’t apply more voltage it’s quite safe as well. To overclock a graphics card you’ll need software of which there are plenty of free options (explained later). Unlike a processor though, you can basically overclock any graphics card on the market. Some graphics cards, that include “OC” in the model number, are already overclocked by the manufacturer. Learn more with our full GPU overclocking guide. While not nearly as common as CPU and GPU overclocking, you can overclock your memory to run at higher speeds if your motherboard supports those higher speeds which can equate to slightly faster performance in games that are more CPU-intensive (as the RAM helps the CPU) and non-gaming applications that heavily rely on your memory. 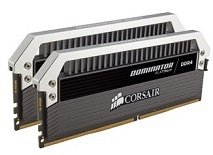 Overall, RAM overclocking is quite complicated and typically not worth it in most cases as higher RAM speeds don’t equate to significant performance increases when it comes to most applications (including gaming). Plus, there are more nuances and potential problems that can arise compared to tinkering with CPUs and GPUs. Unlike pushing CPUs and GPUs where the overclocking boost can be quite evident in certain situations, the boost in performance that comes from pushing your RAM is less clear with the performance gain being under 5% or so. This guide focuses on CPU and GPU overclocking and won’t be covering memory overclocking as it’s quite rarely worth the trouble to be honest. Yep, you heard that right. Overclocking a monitor is forcing its refresh rate to higher levels than the manufacturer intended. 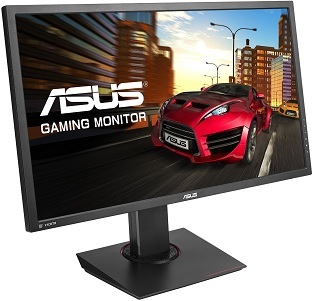 It was more commonplace back in the day before higher refresh rate monitors such as 120 Hz monitors burst onto the scene, but these days it’s still possible with certain models. The refresh rate of a monitor is how many times per second a pixel is rendered, with the standard being 60 Hz. With higher refresh rates, the graphics are being rendered on screen even faster than 60 times per second, which to some can make the visuals seem even smoother. Like overclocking any part, there are still risks to monitor overclocking such as damaging your screen. Is Overclocking Worth the Risk? As mentioned, doing an overclock is quite safe these days if you have suitable hardware and/or cooling, but whether or not it's actually worth it will totally depend on your particular situation, hardware and performance aims, etc. With some systems you might not get much of a performance increase or see much of a difference, or you might not even be able to overclock. Yet for other users, overclocking could be a wise move and a fairly significantly performance boost for little to no extra cost.